Today, a reunion is taking place in Davis, California. This is a reunion of the "Davis CED and Fellow Travelers." I was invited, despite my rather tenuous connections to Davis. I think I qualify in the "fellow travelers" category. As it turns out, looking at the invite list (which I found on Facebook), I do know many members of this hopeful CED crew from Davis. 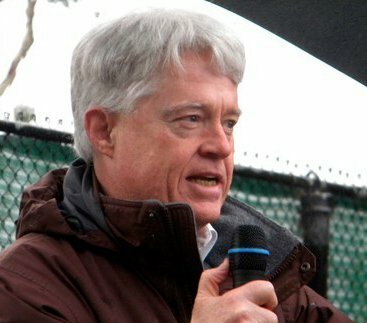 For those not familiar with the acronym, "CED" refers, in this context, to the "Campaign For Economic Democracy," which is often associated with Tom Hayden and Jane Fonda. 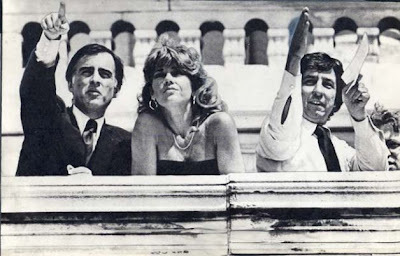 In fact, CED stimulated a lot of "political" careers (including, in some ways, my own), and maybe even, to some degree, the political career of our current Governor, pictured above with Jane and Tom in 1979. At the least, our Governor was a kind of fellow traveler, too. "Campaigns" are still the way we change the world. Not necessarily what passes for "political campaigns," nowadays, but genuine, community-based campaigns. And "economic democracy" still sounds good to me! I wish I could be at the reunion. I hope there is some life left in those CED campaigners, even more!